Why just go out for dinner when you could have dinner and a show? Located on SE 3rd Street in Bend, Okawa Steak House and Sushi opened in 2016 and has been entertaining diners ever since in the tradition of Japanese hibachi-style restaurants. If you’ve ever wanted to get up close and personal with your food as it’s being prepared, this is the place to do it. The chefs are performers as much as they are culinary experts, and they’ll keep you engaged and entertained as they expertly wield knives and other utensils with lightning fast speed, make the flames soar as food is perfectly prepared, and send elements of your meal flying high (yes, they like to fling rice here), all without ever breaking eye contact, or a sweat. While the show is definitely fun, owner Mickey Lin makes sure it never overshadows the flavors and quality of the food. 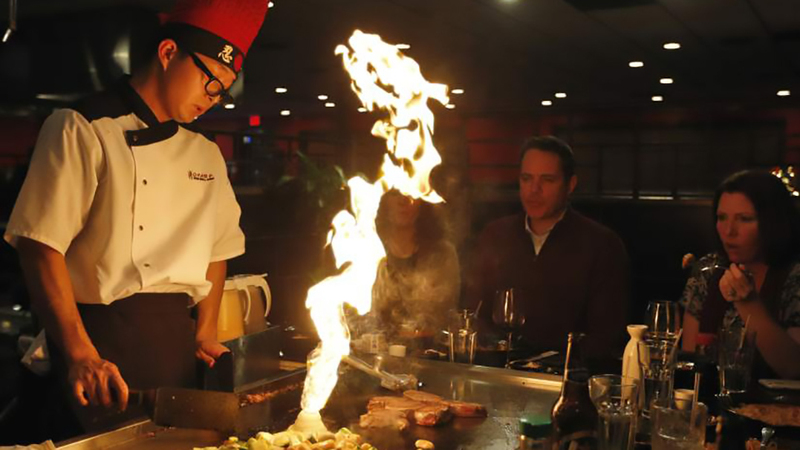 Whether you choose a hibachi meal prepared tableside or one of the many made-to-order sushi rolls, Okawa Steak House and Sushi is family-friendly fun and a unique experience every time. The restaurant is open for lunch and dinner seven days a week and reservations are recommended.